The Ludington Area School district, in partnership with parents and community, will educate and empower students to adapt and succeed in their futures. Ludington Area School students will graduate from a top-performing district, confident in the skills required for their success in the global community. If approved by voters on May 7, 2019, the estimated millage that will be levied for the proposed bonds in 2019, under current law, represents a 1.71 mill net increase over the prior year's levy. The maximum number of years the bonds of any series may be outstanding, exclusive of any refunding, is thirty (30) years. Pursuant to State law, expenditure of bond proceeds must be audited, and the proceeds can not be used for repair or maintenance costs, teacher, administrator, or employee salaries, or other operating expenses. Click the link below to use the Estimated Millage Impact Calculator by entering the estimated market value of your home in the blue box. This will calculate the estimated annual property tax bill increase and the estimated increase per month. Donate directly to the Oriole Foundation. Choose Education in the first drop down and the Oriole Foundation in the second. 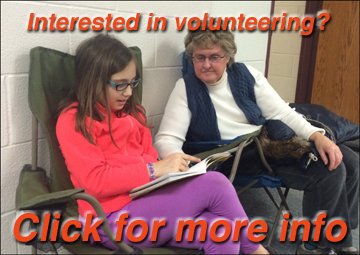 For more information on the bond proposals visit this link. The Board recently became aware that community members may have questions about the informational materials distributed by the District on the upcoming bond proposal. Please read the following District statement regarding this matter. We have recently implemented a new school notification system called SwiftK12. This notification system is loaded with new features that will make it easier for us to keep in contact with your family. For information on how to manage your alert preferences navigate to this link. For future reference this link will be on teh right hand side of the navigation under the District page of the LASD website. 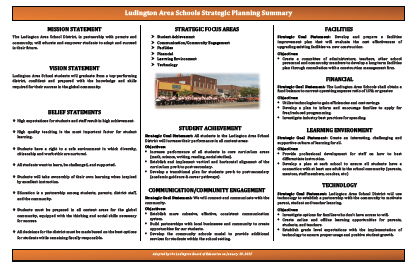 The five (5) year Strategic Plan that was adopted by the Board of Education on January 19, 2015 called for the creation of a committee of administrators, teachers, other school personnel, and community members to develop a long term facilities plan through consultation with a construction management company and an architect and engineer. This plan also called for the development of a facilities improvement plan that evaluates the cost effectiveness of upgrading existing facilities vs. new construction. For more information on the project see the Facilities Assement page.